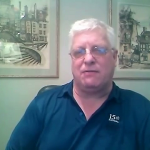 Rob Kirby: Financial System Totally Criminal - Wall St. for Main St.Wall St. for Main St.
During this 45+ minute interview, Jason asks Rob about interest rates and if Janet Yellen and the Federal Reserve can raise them? Rob thinks at most there will be 1-2 token interest rate increases of 25 basis points and those are by no means guaranteed, before the Federal Reserve has to reverse course and lower interest rates as close to zero as possible across the entire yield curve. Jason then asks Rob if there will be bail ins to force Americans to put their savings into US Treasury bonds? Rob thinks the Wall St banks may not need access directly to people’s savings as the ESF/US Treasury/Federal Reserve will give them stealth/covert bailouts in unlimited amounts. Next, Jason and Rob talk about Keynesian Economics and currency swaps. Rob thinks the size and amount of currency swaps will continue to explode going forward since they became prevalent in 2007-2008. Rob says every market is manipulated up or down depending on what the Wall St banks/US Treasury/Federal Reserve wants. To wrap up the interview, Jason and Rob talk about the gold and silver markets. Rob thinks the paper leverage ratios on COMEX/LBMA are 100% not sustainable and they will blow up in the near future especially as more and more mines come offline or miners go bankrupt.